*You can rotate his 2nd&3rd Asura arms 360 degrees. 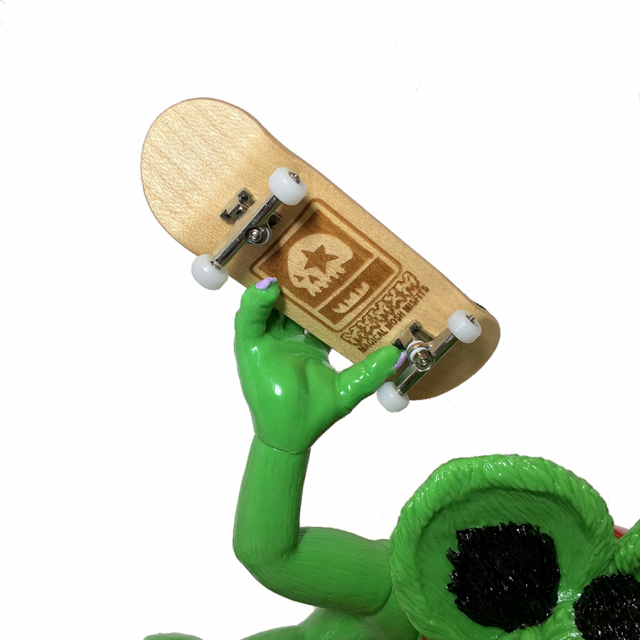 Like original graphic, he can hold finger board in his hands. Please note finger board is NOT included in this set, please prepare by yourself. 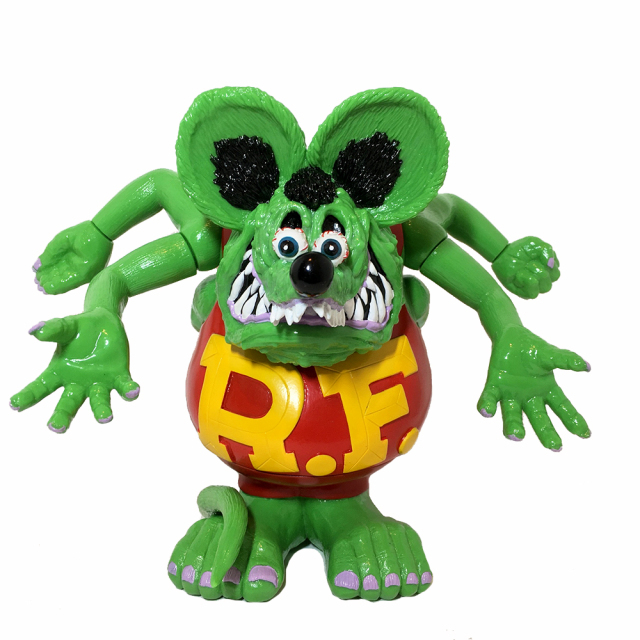 *Unpainted Asura Rat Fink finger puppet comes with for free. You can put it on "SHU-CHU" hand sign. 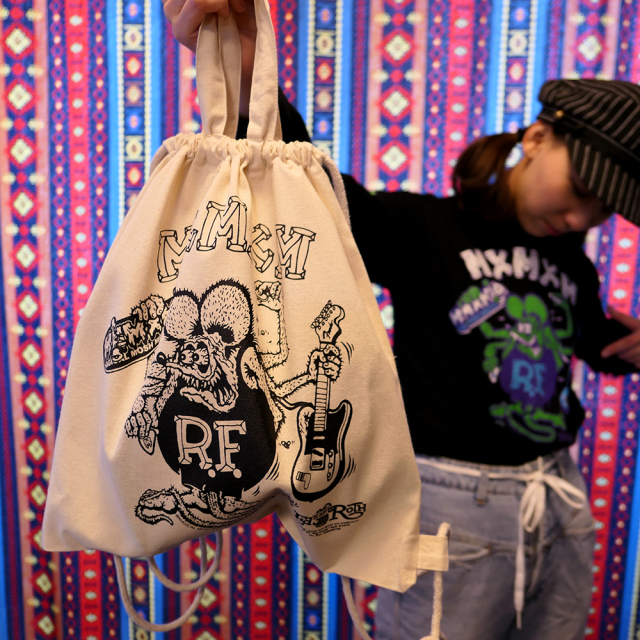 *Package is this screen printed cotton toto bag. 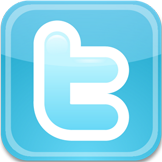 You can use it as knapsack too. 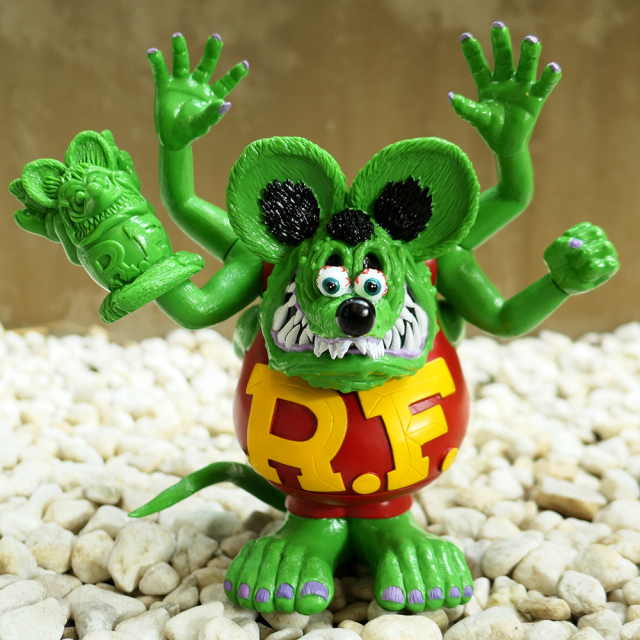 We, BlackBook Toy, are proud to announce the sofubi project with Magical Mosh Misfits!! 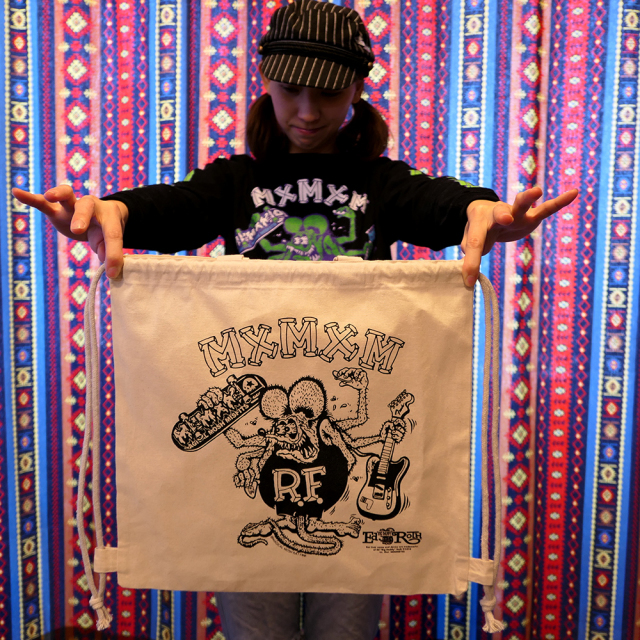 6 Arms 阿修羅(Asura) Rat Fink. 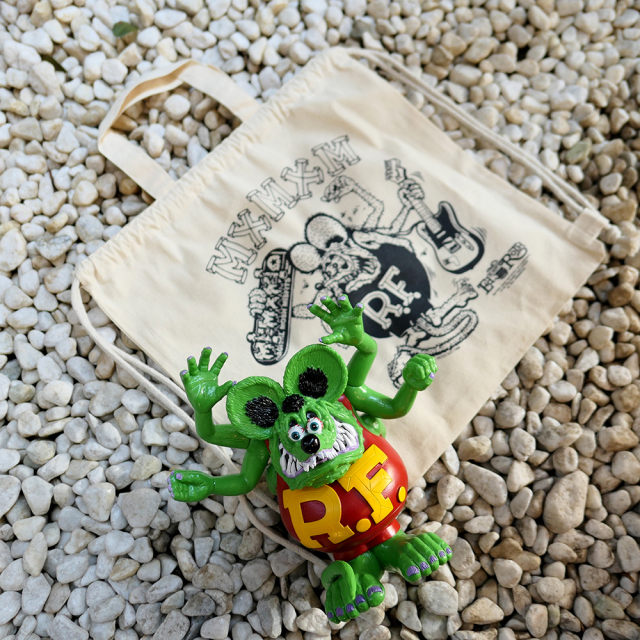 Firstly appeared on tee, hoodie, skateboard released from MxMxM back in 2011 and going through some rejections, after 7years, it turned into MADE IN JAPAN sofubi. Needless to say, officially licensed by MOONEYES. 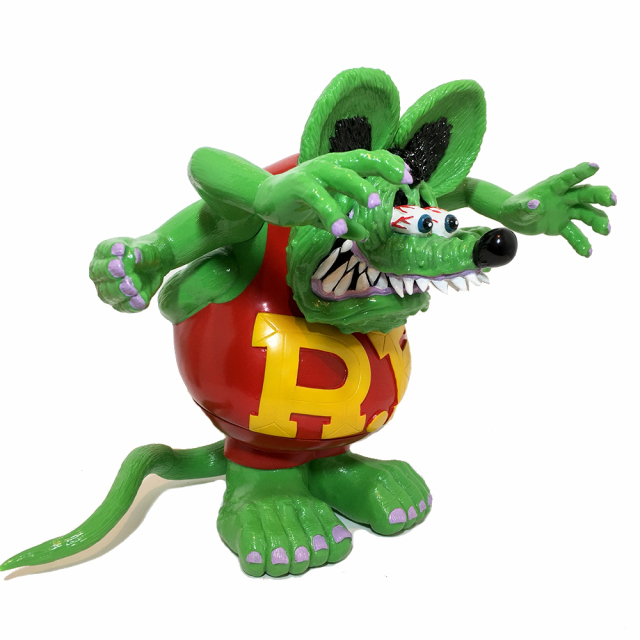 Composed of crazy 13 parts, you can move not only his hands&arms, you can move his tail. 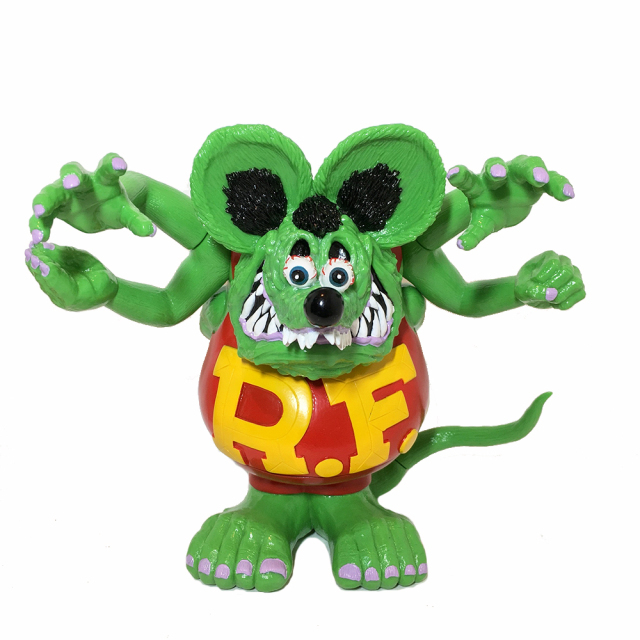 Plus it comes with unpainted finger puppet as Omake(free prize), which Asura Rat Fink can hold in&on his hands. 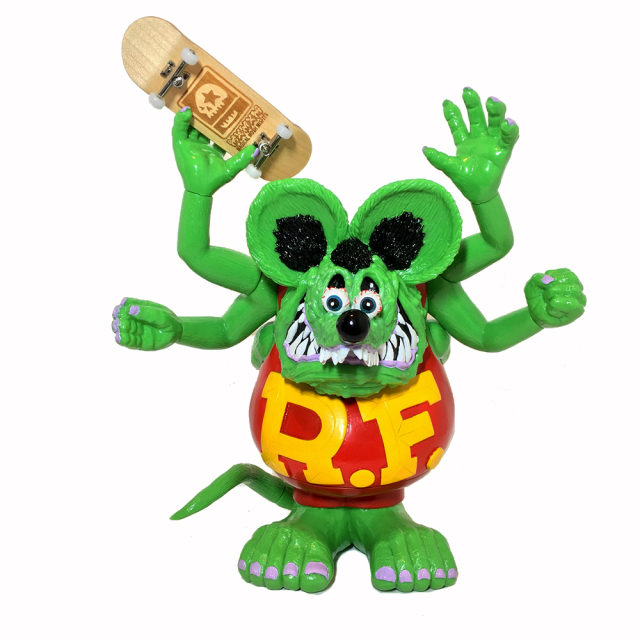 What's more Asura Rat Fink can hold finger board in his hand like original graphic. Please note finger board not included. This is classic OG colorway!! You might don't want to miss this masterpiece! !